1、When a vehicle approaches an intersection without crosswalk, the driver should_______ if he finds people are crossing the street. 2、Which kind of vehicles are allowed to run in the lane with this marking on road? 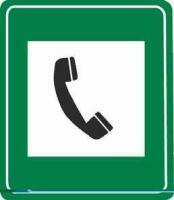 4、Driving license will be detained if you allow to drive your car. 5、The three principles for careful driving are concentration, careful observation and earlyprevention. 6、If a motorized vehicle driver has caused a major accident in violation of the trafficregulations which has caused heavy loss to public or private property, the driver is subject toa prison term of less than 3 years or a criminal detention. 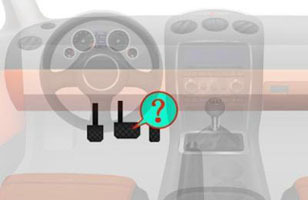 7、Which kind of vehicle can be driven if the authorized vehicle applied for is small motor vehicle? 8、From which side to overtake? 10、What is this manipulation device? 13、No turning right at the intersection ahead. 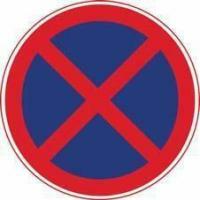 14、This sign means the opposite vehicle should stop to yield when crossing each other. 15、What device does the switch of this symbol control? 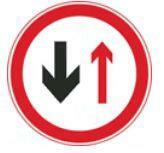 19、This sign reminds the lane or the road narrows on the right side ahead. 20、If a vehicle may encounter a vehicle coming in the opposite direction in the course ofovertaking, the driver should speed up in advance and overtake. 21、How to do in this situation? 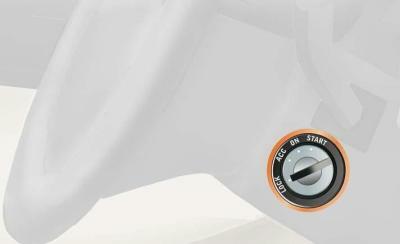 23、It displays the current engine speed is 6000 rev / min. 24、Traffic Police can detain the driver according to law, if the driver drives a motorizedvehicle which is suspected of reaching the write-off standard. 25、7.When a vehicle changes lane before an intersection, the driver should do so ______. 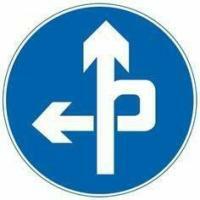 26、Whats the meaning of this guide arrow? 27、A driver should buckled up before the vehicle moves. 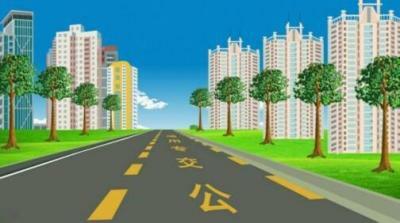 29、When bicycles ahead obstruct the traffic flow, the driver may honk to remind them,speed up and bypass. 30、Which should be carried onboard? 31、The vehicle is allowed to _______ at this intersection. 32、When a vehicles turns, it should do so on the right side and refrain from occupying thelane of the other party. 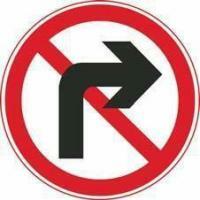 The left turn should be gentle and the right turn should be sharp. 33、When driving a small vehicle downhill, the driver may coast down by stopping theengine. 34、A motorized vehicle driver who uses falsified and altered vehicle license is subject to a________. 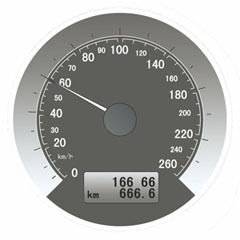 35、When driving a vehicle on the road, the driver should drive safely at the prescribedspeed. 37、When a motorized vehicle encounters the cut in by another vehicle in a roundabout, thedriver may not evade as long as he has the right of way. 38、When a motorized vehicle goes at night through an intersection that has no traffic lights,the driver should not use the high and low beam lights alternately. 39、A person who has taken the state-controlled psychiatric substances can drive motorizedvehicle in short distance. 40、As the traffic flow at an interchange is generally one-way, the vehicles do not have toreduce speed when passing. 43、Honking in a foggy day can arouse the attention of the opposite side. After hearing thehonking from the opposite side, the driver should also honk to respond. 44、When a tire blows out suddenly on the road, the driver should refrain from violentlydepressing the brake pedal in panic. Instead, he should try his best to shift the gear to a lowposition and use the engine braking to reduce the speed of the vehicle. 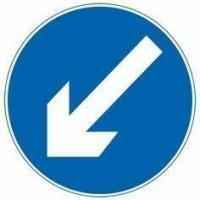 45、When starting up a vehicle stopping at the roadside, the driver should first ________. 46、One shall not drive a motorized vehicle during the period of deferred license checkingdue to military service, abroad and other reasons. 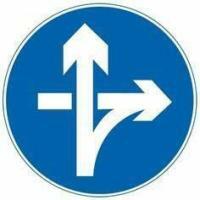 47、The penalty points wil be _____ if violating the traffic lights.